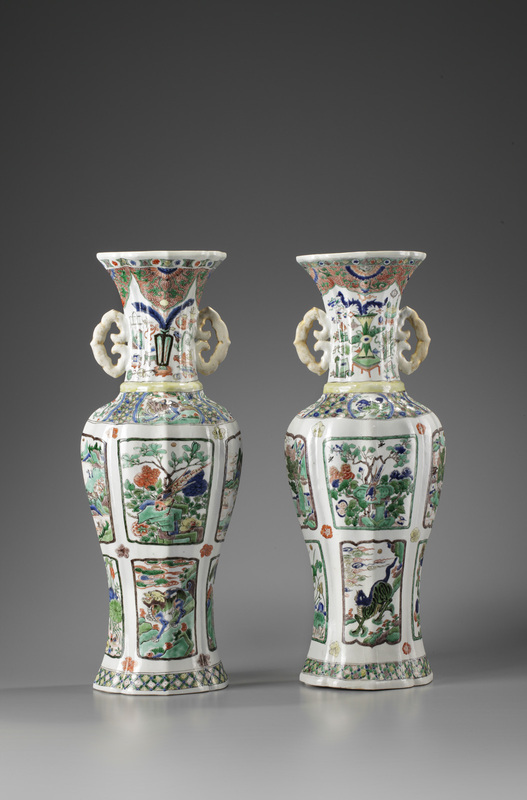 A large pair of lobed baluster vases. 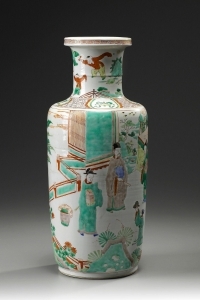 Elaborately decorated in the famille verte palette with two rows of shaped panels on the bodies enclosing scenes of birds and flowers to the top row and qilins along the bottom row. The qilin was a mythical beast that appears, according to the Confucian tradition, during the reign of wise and virtuous rulers. The necks are elaborately decorated with the 100 Chinese antiquities. 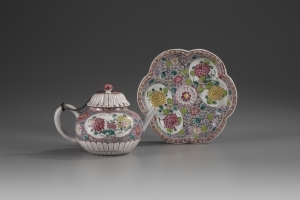 China, Kangxi period (1162 – 1722) Height 60 cm Provenance : Shrubland Park collection, UK. Condition: One handle restored. 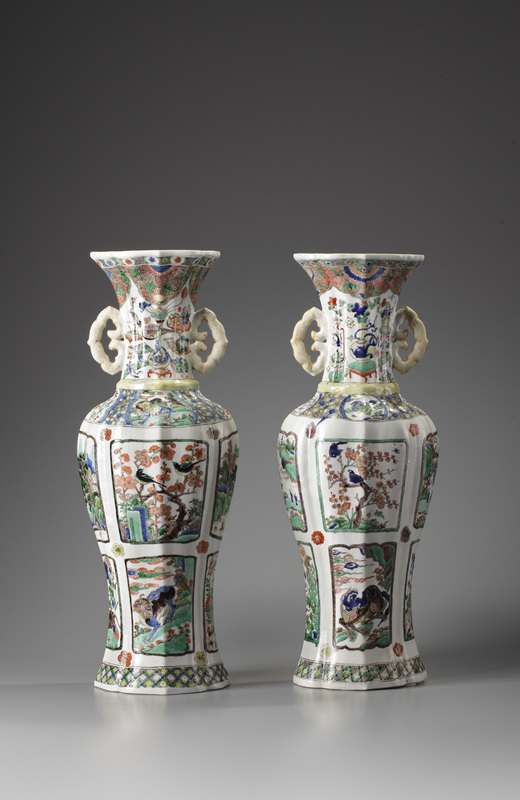 One vase of which the original piece of the neck has been re-stuck.